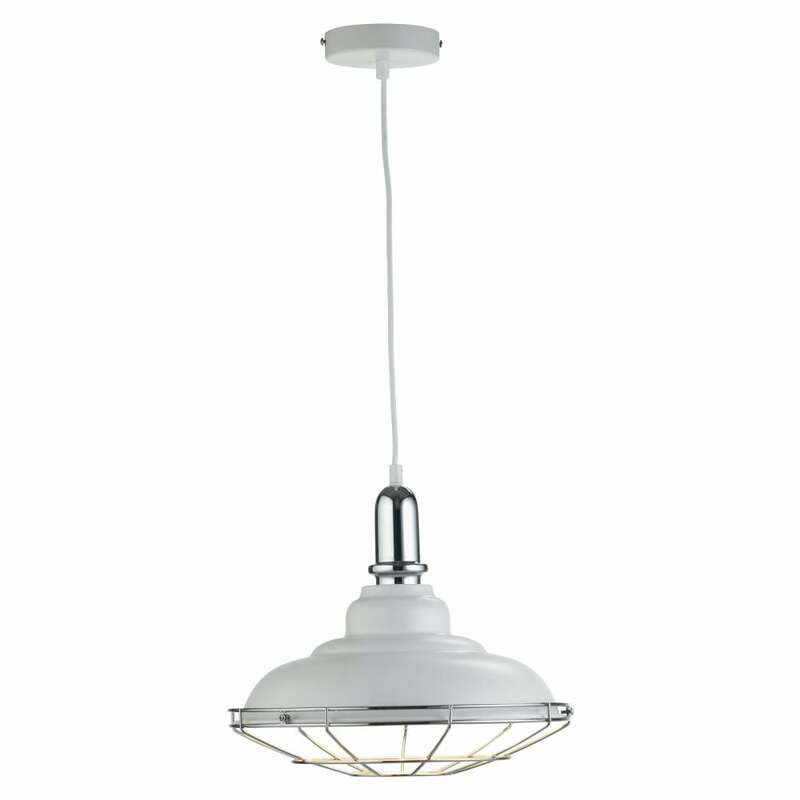 Oaks Lighting Ghent single light ceiling pendant features a circular ceiling plate in white finish holding a wide brim white metal shade with chrome finish lamp holder and grill design. The product code for this item is 3055/1 WH. The retro design has an industrial feel making it the perfect addition to quirky and modern interior homes, the combination of white and chrome finish completes the look. The Ghent pendant is also available in black and copper finish which can be viewed and purchased via our website.